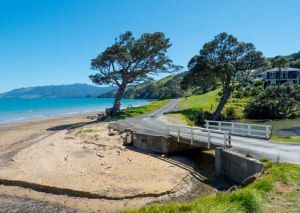 Whether it’s making the most of school holidays, Easter breaks, or basking in the sunny Christmas sun, driving in New Zealand for a good old-fashioned road trip is popular among Kiwis. But, before you throw your jandals, togs and chilly bin in the car and hit the road, don’t forget to brush up on your road safety. Every year, the Christmas/New Year road toll is used to record the number of fatalities on New Zealand roads, many resulting from preventable causes. There were 11 fatal crashes, resulting in 12 deaths, during the 2014/15 holiday period from 4pm 24 December to 6am 5 January, according to Ministry of Transport statistics. The deaths included: 7 drivers, 3 passengers, 1 motorcycle rider and 1 cyclist. And, in the 2015/16 holiday period, there were 14 fatal crashes, resulting in 16 deaths. We all know that if we haven’t had a good night’s sleep, it can affect our concentration to do our everyday activities; work tasks seem more arduous, deciding what to take for lunch seems much harder than it is. Well, the same goes for driving, except lack of concentration caused by fatigue can have fatal consequences. Concentration is critical to road safety when driving in New Zealand, with its twisting, winding roads. And, a heart-breaking side-effect of fatigue-related crashes is it often impacts more than just the drivers. For every 100 drivers or riders who died in road crashes in which fatigue was a contributing factor, 39 passengers and 32 other road users died with them, between 2012 and 2014. The New Zealand Transport Authority (NZTA) reminds drivers of the importance of getting some rest if they feel fatigue coming on while out on the road. 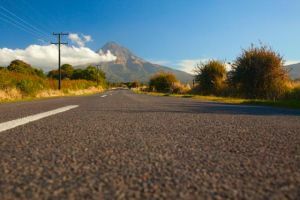 The AA offers four main road safety tips for driving in New Zealand, particularly helpful to study up on if you are heading off on a Kiwi Christmas road trip. These road safety tips are in addition to obeying road rules, wearing seat belts, keeping to speed limits and not taking drugs or drinking before driving. Try and break the habit of doing activities which take your mind – and eyes – off the road. This includes: eating, putting on make-up and using a mobile, for example. If you have passengers, avoid turning around to look at them, keep your eyes on the road instead. Those who are fuel efficient, tend to have less crashes. To maintain road safety, remember to look well ahead, and anticipate in advance any actions you might have to take. This will help you to avoid hard braking or accelerating. Keep a two-second following distance, so you have more time to react. 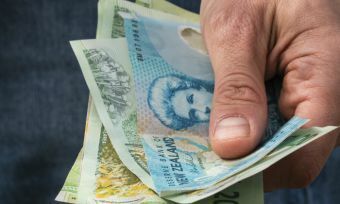 Regardless of your budget, there are ways you can ensure both you and your passengers are safe while driving in New Zealand, these holidays. You can check the AA website for safety ratings for both new and used cars. 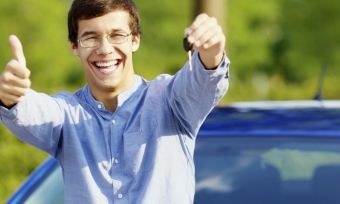 When buying a used car, look out for the following road safety features: ABS braking, airbags, electronic stability control and rear seat three point seat belts. 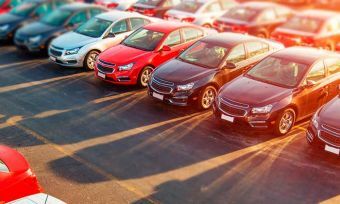 Generally, newer vehicles have technological advances to protect drivers and passengers better in the event of a crash. 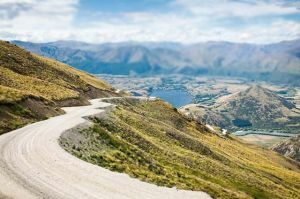 Drive sharing, having water and a banana, and splitting up the journey are all tips for how to stay alert while driving in New Zealand – or elsewhere. Studies have shown driving while tired can be just as risky as driving drunk, according to the AA. As soon as you start feeling drowsy, or are yawning, blinking, or drifting into another lane, pull over straight away and have a decent rest. If this isn’t possible, pull over and have a power nap for 15 to 20 minutes. While coffee might seem like the go-to energy booster, caffeine can actually give you a spike, but it will take a while to get absorbed into the system. People who regularly drink caffeine might not really feel any affect. Keep in mind, that the above tips are short-term fixes. Trying to push on when you really need a rest is dangerous, and it’s not worth the risk to yourself or others on the road. 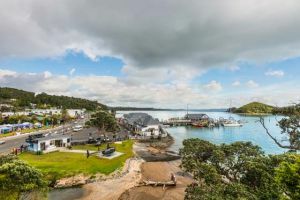 However, provided you keep on top of your road safety checks, and are well rested before and during long drives, there are a lot of beautiful destinations to head for while driving in New Zealand over the holidays. Road safety also includes checks before you even hit the road; don’t forget to check your tyres! Here are a few tyre road safety tips. The appropriate tyre pressure is outlined in the owner’s manual, and can occasionally be found on a sticker by the driver’s side door. Consider if the weight load is higher than your everyday drive, and fill your tyre pressure accordingly. If you plan on driving for a week or more, then make sure you are checking your tyre pressure every few days. A standard tyre comes with approximately 8mm of tread, and the legal amount of tyre tread is at least 1.8mm – any less and you will need new tyres. You can easily check your tread with a tread gauge. Repeat all the above steps for your spare tyre. Your spare is what will get you home safely when a flat occurs. Ensure the pressure, tread and overall wear and tear signs before you head off on a road trip. And, of course, ensure that your registration, car servicing and car insurance are up to date before you leave!